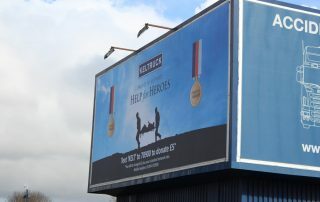 Keltruck, the largest independent Scania dealer in Europe, has chosen Help for Heroes (H4H) as its nominated charity that it will be supporting in 2014. H4H’s aim is to inspire our wounded, injured and sick and returning veterans to lead active, independent and fulfilling lives so that they fulfil their potential, and be there for them and their families for life. Keltruck will be organising activities throughout 2014 to raise money for H4H, including cake sales, barbecues and open days. H4H will also be attending all of Keltruck’s events in the year, including Truckfest Malvern and the All Wales Show. A Keltruck H4H representative will be at each of Keltruck’s network of 21 branches, and H4H merchandise will be available for sale. 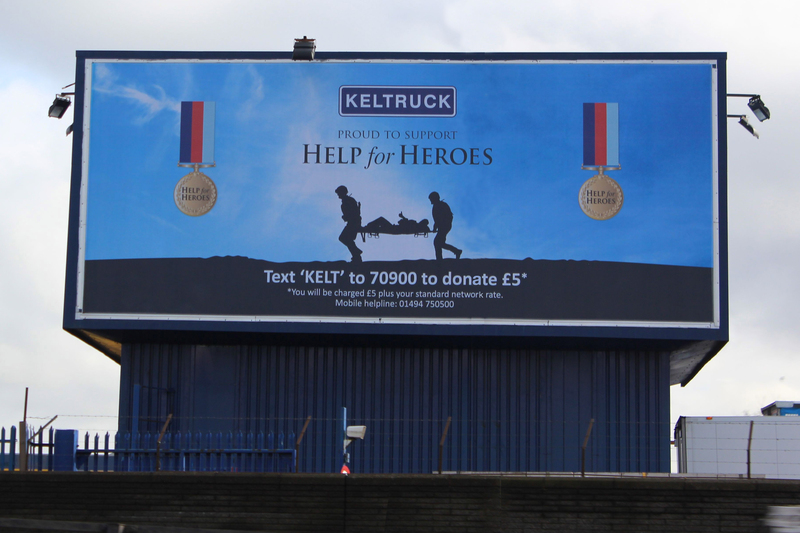 To help promote the campaign, an 11m by 4.5m banner has been erected at Keltruck’s water tower location, which overlooks the busy Junction 1 of the M5 motorway. The banner carries an SMS number that allows donations to be made by text message. Andrew Jamieson, managing director at Keltruck, said, “We were first introduced to Help for Heroes via our former employee Michael Leeming, who served as a military helicopter pilot alongside Bryn Parry, the charity’s co-founder. 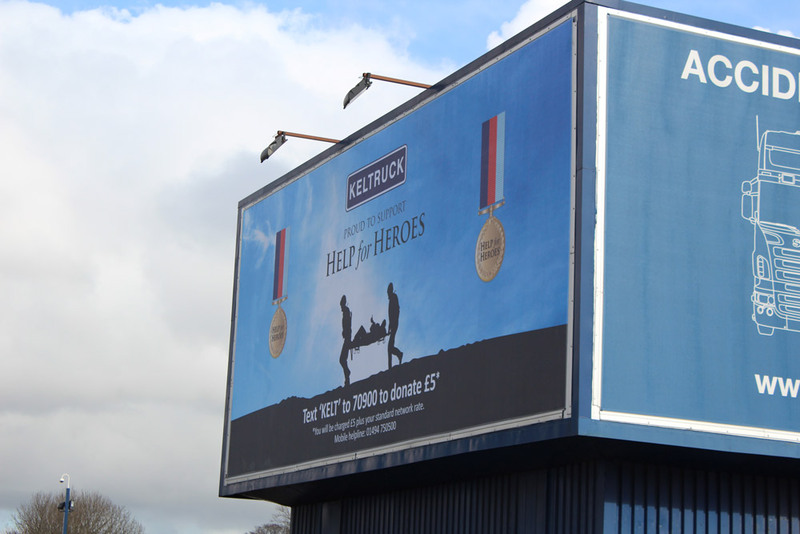 Keltruck has a long history of charity work, including supporting local children’s charities, the Royal British Legion poppy appeal and the National Society for Epilepsy. 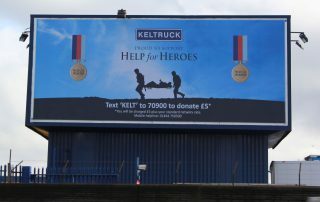 To make a donation please visit keltruck.com/H4H, or text ‘KELT’ to 70900 to donate £5 (you will be charged £5 plus your standard network rate).